There's no shortage of bars to catch the sunset on the west side of Miami Beach. 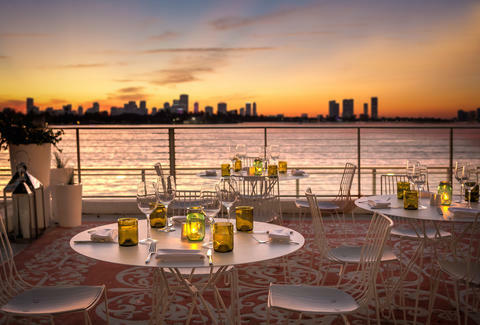 But only one combines that sunset with a swanky poolside party, the all-white opulence of the Mondrian, and expertly designed furniture for you to relax and enjoy the colors over the skyline. 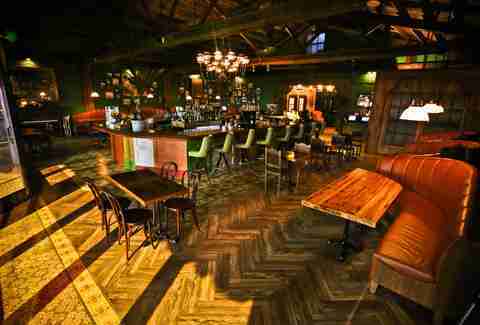 If Epcot had a "Cuba World," the bar there would look exactly like Ball & Chain. Except this place is real. An odd historic spot in Miami that hasn't been bulldozed for condos, this Calle Ocho club saw the likes of Billie Holiday, Duke Ellington, and Louie Armstrong, as the posters from its heyday that now line the walls will attest. Restored and reopened last year, the main room with vaulted Dade County pine ceilings leads to a tropical oasis of a backyard, complete with a bandshell shaped like a pineapple. In case you're a little slow on the uptake, this bar in the back of the Thompson Hotel is actually a house that was built in the 1930s. But the house's original location across Collins Ave wouldn't have made for nearly as beautiful a setting as its current one. So, this handcrafted home was actually moved piece by piece across the street and now sits poolside at the Thompson, giving you a little bit of old and new Miami as you sip on your Hialeah Sling at one of the best new bars of 2015. This new kid on the block is pretty. Like, not as pretty as Jordan, but definitely prettier than Donnie. It takes the design elements of a classic tropical Florida garden room, with palms, ferns, and light wood molding, then combines it with a visual assault of new Miami chic, complete with an LED chandelier, and 50ft concentric rings made to look like... oh right... blooming flowers. This lounge upstairs from one of the best sushi joints in Miami could probably make this list just by its brilliant incorporation of the Asian, circular decor in the restaurant. But every month a new local artist is given free reign over the walls, making this bar in a hotel a uniquely local experience. And one that offers a totally different -- but still fascinating and beautiful -- look every time you go. Bars with views in Miami are almost as ubiquitous as Instagram "models." So to be named the best bar with a view you've gotta be doing something pretty damn special. 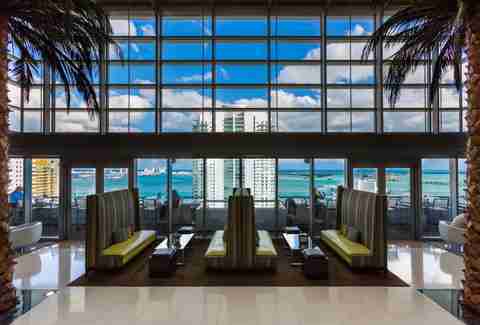 Here at the 25th-floor sky lobby of the Conrad Hotel, you can sit on the patio or in the three-story atrium and enjoy the view east across Biscayne Bay and Key Biscayne. Or look west through the restaurant at the sunset over the sprawling city. 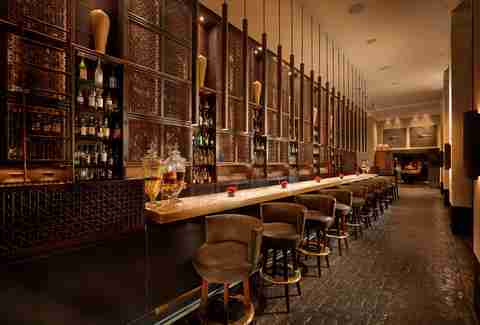 Though it seems the restaurant at the Setai changes almost as frequently as the guests in the $32,000-a-night penthouse suite, the one great constant is the bar. You can either sit inside, among modern Asian bamboo, and enjoy some of the best people-watching in South Beach, or take your act outside to the serene courtyard complete with a reflecting pool. Then maybe wander over and see what kind of restaurant it's got there this week. 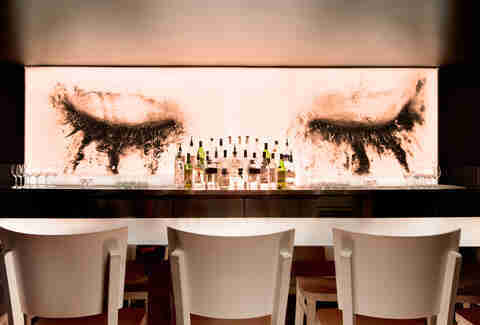 It's an Ian Schrager-designed bar, so we are actually required by law to include it on any list of "beautiful places." 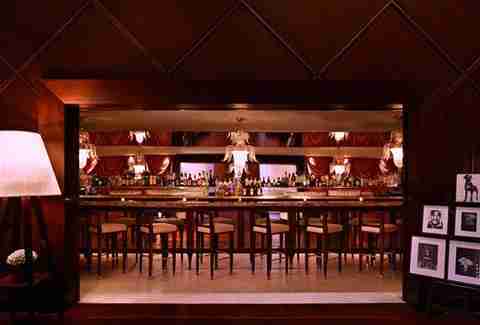 But even without that mandate, the Delano's signature bar has been a must-see for anyone coming to South Beach for almost two decades. 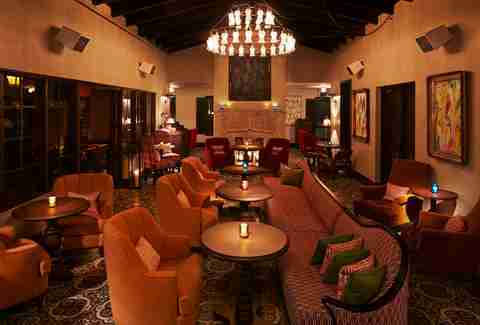 The long white curtains and oversized chairs of the lobby create a perfect setting to enjoy drinks that cost more than a tank of gas. 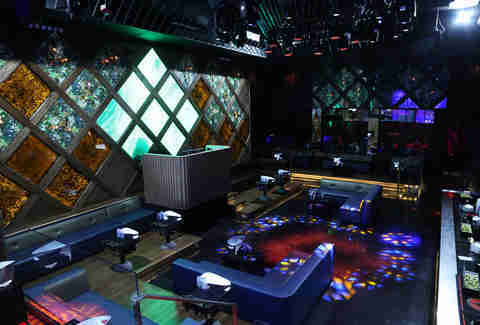 And an even better place to see wealthy older men get chatted up by women who love....... wealthy older men. Aside from ArtWalk -- which has basically devolved into Mardi Gras with street art -- it's hard to enjoy the outdoor museum that is Wynwood while at the same time enjoying a nice, frosty beverage. 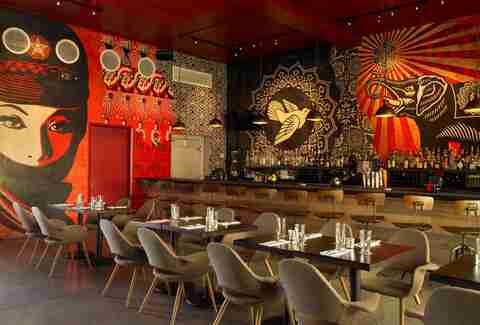 Unless of course you're having drinks right next to the Wynwood Walls at this spot, where even while sitting inside you're still surrounded by floor-to-ceiling modern murals. Pro tip: order the ropa vieja empanada, one of the most only-in-Miami food items you'll find. If you love pisco, the good news is it's easier to get to Peru from Miami than anywhere else in America. The better news? 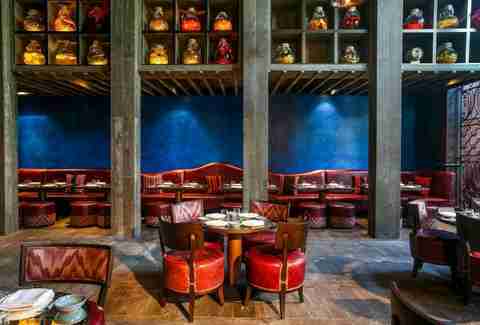 It's even easier to get to this spot, which in addition to boasting the best selection of pisco in the city, is adorned like a 1950s Latin American social club, with worn walls and bright colors, and filled with hefty red leather furniture. As the sun sets, the light peers in through the trees in front, giving this the feeling of an old-time Spanish bar somewhere in the jungle. If Marty McFly had found a bar to watch the Cubs beat Miami in the 2015 World Series, it would have looked exactly like Haven. 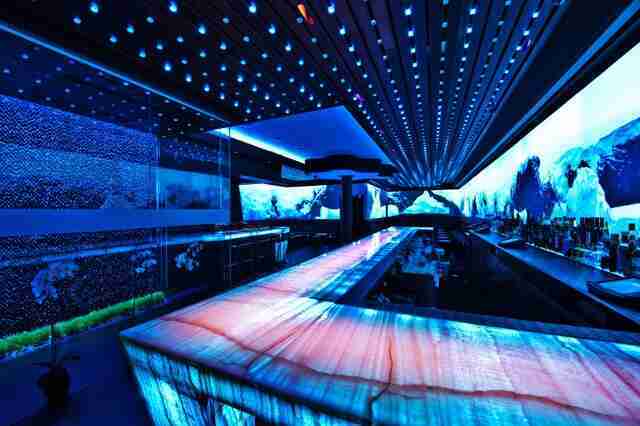 With blue mood lighting, chairs underlit in bright red, and flat screens wrapping around it all, you could almost call Haven "the sports bar of the future." A future where people eat duck burgers with foie gras butter while watching baseball. Sharing a wall with not one, but TWO of the 21 best restaurants in Miami would make pretty much anyone feel like the Cooper Manning of bars. 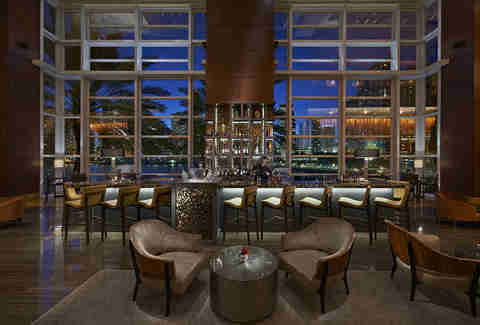 But MO Bar holds its own, offering up inventive cocktails with a floor-to-two-story-ceiling view of the Brickell skyline and slick modern decor. And you can enjoy your drinks either inside the nicely air-conditioned Mandarin Oriental, or outside on the patio where you can listen to the water. Or, more accurately, bass from the boats that roll by. When it comes to old-school, we've-probably-got-a-pet-baby-giraffe-in-the-back opulence, nothing in Miami comes close to The Forge. It's like eating in a medieval dining room that somehow got taken over by a South Beach design firm, and is now adorned with purple lighting and crystal. 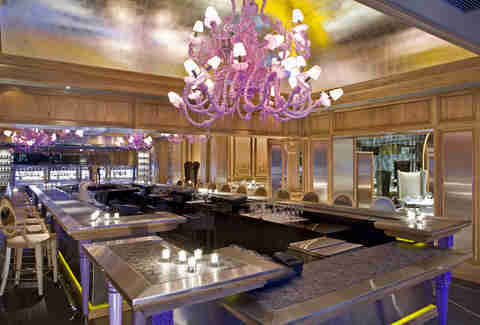 The bar is pure elegance, boasting wines that cost hundreds of dollars a bottle. But what makes this one of Miami's best wine bars is how those wines are offered in 1oz pours, so even an almost-broke wine snob can find out what Opus One really tastes like. Matt Meltzer is a staff writer for Thrillist who can still appreciate the subtle beauty of Mac's Club Deuce. See what else he finds beautiful on Instagram: @meltrez1.